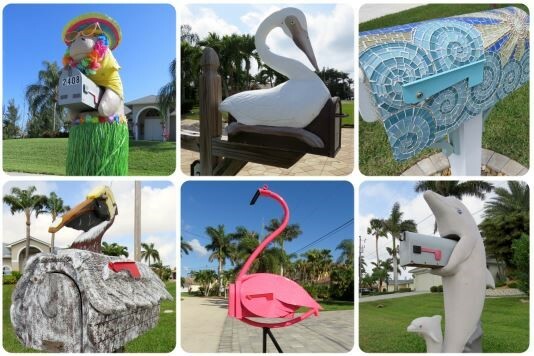 During my travels throughout Cape Coral, I’ve come across some pretty interesting and unique mailboxes. I’ve made a point of being on the lookout for them now and pondered why there seem to be more quirky mailboxes down here in SW Florida than in other parts of the country I’ve lived in or visited. Could be the sunshine and warm weather that creates a feeling of lightheartedness, and a sense that we’re on vacation year round. These relaxed vibes spill over into how we decorate our tropical homes and apparently even to our mailboxes. I’m sure another factor is not having to worry about our mail receptacles being flattened by a snowplow, so we’re more apt to splurge a little on a whimsical mailbox. And with Cape Coral’s low crime rate and incidences of vandalism, there’s no real concern that our special boxes will be stolen or damaged. Whatever the reasons, unusual mailboxes are a fun way to personalize and add some character and distinction to our properties. Keep your eyes open . . . manatees, dolphins, pelicans and giant flamingos are waiting at curbs all over the area. The photos above are of some of my recent sightings while out and about. Come join the fun down here in Cape Coral. Cape Coral is home to beautiful waterfront homes and properties. Let us help you find your dream home today. 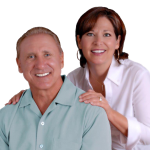 To search properties in Cape Coral, click our Cape Waterfront Homes contact page or call 239-357-6118.